2013, VIII, 194 p. 58 illus., 27 illus. in color. Humankind is under the permanent influence of the geological environment. Roles of some geological biotropic factors, such as volcanic explosions, strong earthquakes, and geochemical anomalies, have been well studied. Little is known about biotropic effects of the Earth’s fluid degassing, geomagnetic activity, natural background radiation, fluid migration and gas emission within fault zones, mild seismicity, cyclicity of tectonic and climatic processes, etc. This book is the first attempt to synthesize the interdisciplinary knowledge on all geogenic factors influencing humans, society, and civilization. Over two billion people live in tropical lands. Most of them live in intimate contact with the immediate geological environment, obtaining their food and water directly from it. The unique geochemistry of these tropical environments have a marked influence on their health, giving rise to diseases that affect millions of people. The origin of these diseases is geologic as exemplified by dental and skeletal fluorosis, iodine deficiency disorders, trace element imbalances to name a few. 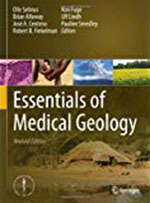 This book, one of the first of its kind, serves as an excellent introduction to the emerging discipline of Medical Geology. 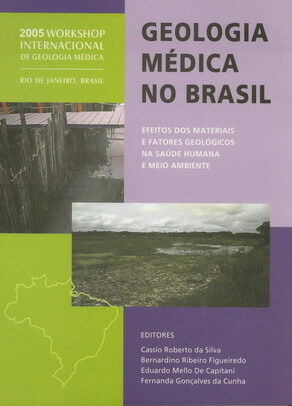 The main objective of the book Medical Geology: Effects of Geological Environments on Human Health is to show how the geological environment affects human health and to explore preventative methods for improvement. Bowman, C. A., Bobrowsky, P. T., and Selinus, O. 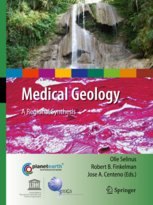 (2003), Medical geology: new relevance in the earth sciences. Episodes 26, 270-278. Centeno, J. A. 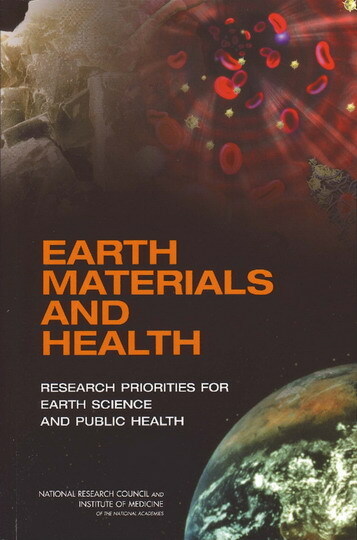 (2000), Environmental Pathology and Medical Geology: Solving global, environmental, and health issues. The AFIP Letter 158, Armed Forces Institute of Pathology, Washington, DC. Centeno, J. A. 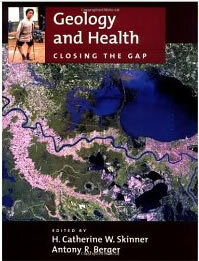 (2007), Health and natural hazards. Chem. Technol. 4, T41–T48. Centeno, J. A., Finkelman, R. B. 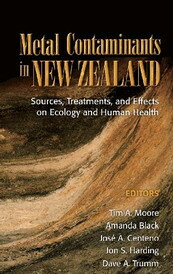 (2007), Global impacts of geogenic arsenic – A medical geology perspective. Centeno, J. A., Finkelman, R. B., and Selinus, O. 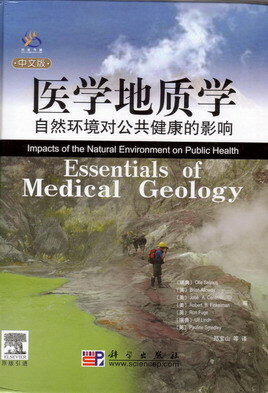 (2016), Medical Geology: Impacts of the Natural Environment on Public Health. 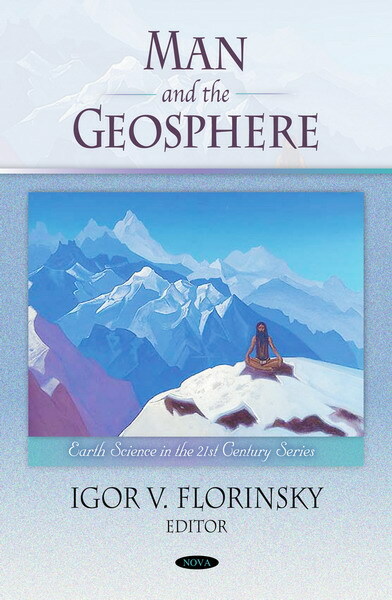 Geosciences Special Issue reprint, ISBN 978-3-03842-198-6 (PDF); 978-3-03842-197-9 (Hbk). Dissanayake, C. B. 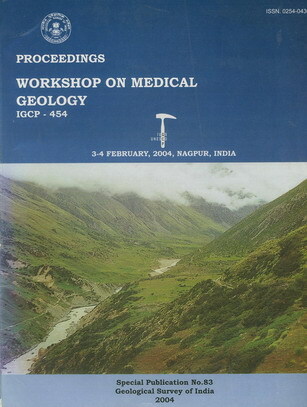 (2004), Medical Geology – a fascinating new science. Humboldt Kosmos 84, 33. Finkelman, R. B., Centeno, J. A., and Selinus, O. 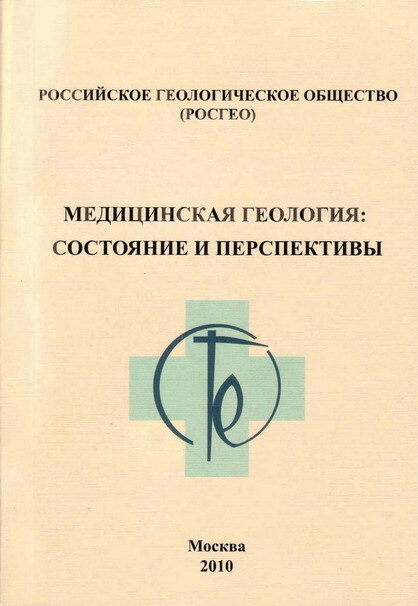 (2005), Medical Geology: the emergence of a new discipline. Terrae 2, 3-8. 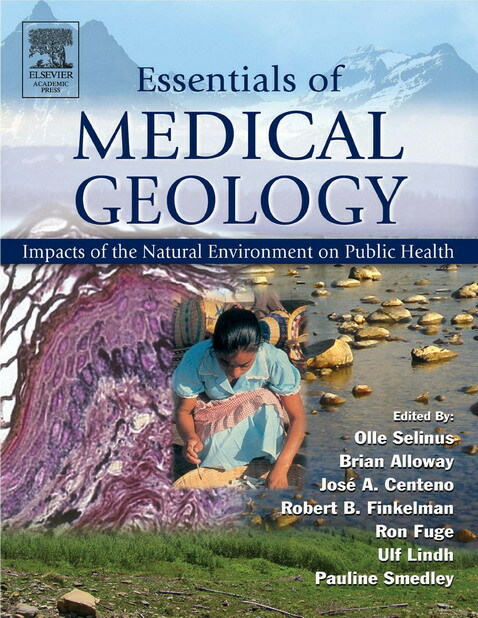 Finkelman, R. B., Skinner, H. C. W., Plumlee, G. S., and Bunnell, J. E. (2005), Medical Geology. Geotimes. Selinus, O., Finkelman, R. B., and Centeno, J. A. (20--), The medical geology revolution. Tribune 5, 108-109. Selinus, O. 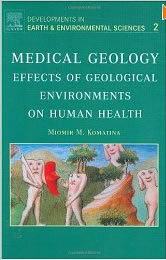 (2004), Medical Geology: an emerging speciality. Terrae 1, 8-15. 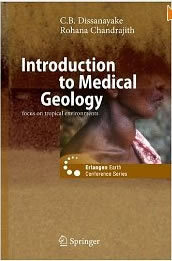 Singh, H. (20--), Theoretical basis for medical geology. U.S. Geological Survey (2001), Health Effects of Toxic Organic Compounds from Coal — The Case of Balkan Endemic Nephropathy (BEN). U.S. Geological Survey Fact Sheet FS–004–01, 4 pp. Weinstein, P. and Selinus, O. 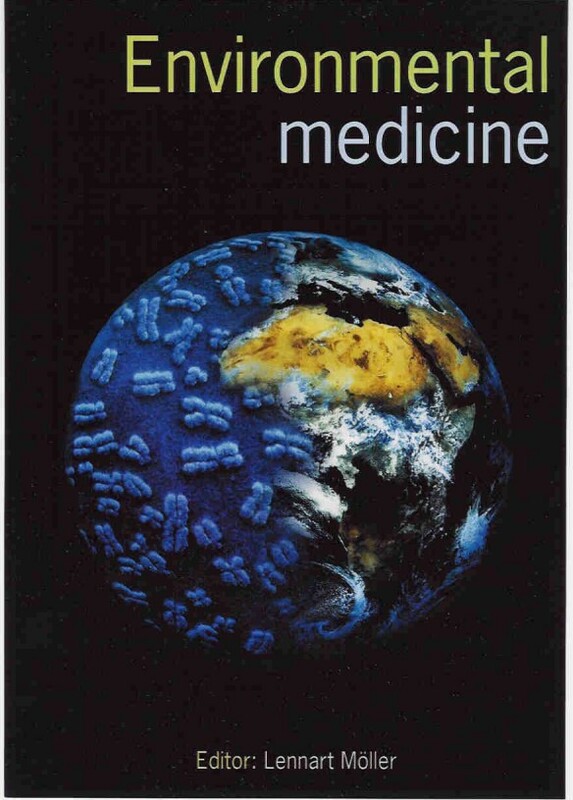 (2009), Nature and medicine a breakthrough for human health. International Year of Planet Earth, www.yearofplanetearth.org. 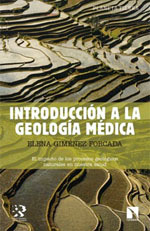 Finkelman, R. B., Skinner, H. C. W., Plumlee, G. S., and Bunnell, J. E. (2005), Geología médica. Geotimes. Finkelman, R. B. et al, Geología Médica para un planeta en emergencia. Singh, H. (20--), Bases Teoreticas Para La Geologia Medica. Borgel, L. & Schulthess, M. Tools for risk assessment of acute and chronic effects due to metal and metalloid exposition, Health and Technology, 8 (2018) 71-79. Darbandi, M.P. & Taheri, J. 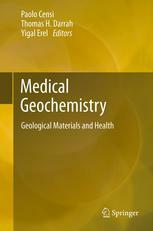 Using sulfur-containing minerals in medicine: Iranian traditional documents and modern pharmaceutical terminology, Earth Sciences History, 37 (2018) 25-33. Domingo M.G, Ferrari L., Aguas S., Alejandro F.S., Steimetz T., Sebelli P., Olmedo D.G. Oral exfoliative cytology and corrosion of metal piercings. Tissue implications. Clinical Oral Investigations. ISSN 1432-6981. Clin Oral Invest. DOI 10.1007 / s00784-018-2626-4. Horasan, B.Y., Arik, F. Assessing heavy metal pollution in the surface soils of central Anatolia region of Turkey, Carpathian Journal of Earth and Environmental Sciences, 14 (2019) 107-118. López-Abente, G.; Locutura-Ruperez, J.; Fernandez-Navarro, P.; Martin-Mendez, I.; Bel-Lan, A.; Nunez, O. Compositional analysis of topsoil metals and its associations with cancer mortality using spatial misaligned data, Environmental Geochemistry and Health, 40 (2018) 283-294. López-Abente, G.; Nunez, O.; Fernandez-Navarro, P.; Barros-Dios, J.M. ; Martin-Mendez, I.; Bel-Lan, A.; Locutura, J.; Quindos, L.; Sainz, C.; Ruano-Ravina, A. Residential radon and cancer mortality in Galicia, Spain, Science of the Total Environment, 610 (2018) 1125-1132. Ojeda, A.S.; Ford, S.D. ; Gallucci, R.M. ; Ihnat, M.A. ; Philp, R.P. Geochemical characterization and renal cell toxicity of water-soluble extracts from U.S. Gulf Coast lignite, Environmental geochemistry and health, (2018). Paranagama, D.G.A. ; Bhuiyan, M.A. ; Jayasuriya N. Factors associated with Chronic Kidney Disease of unknown aetiology (CKDu) in North Central Province of Sri Lanka: a comparative analysis of drinking water samples, Applied Water Science, 8 (2018).